A little bit late this one – a piece from the excellent Egypt Independent on the worrying clashes which erupted near the Muslim Brotherhood’s Cairo-based headquarters a week ago last Friday. It gives a vivid sense of the mutual loathing which often now characterises relations between supporters of the Brotherhood – the organisation to which President Mohamed Morsi belongs – and their opponents. 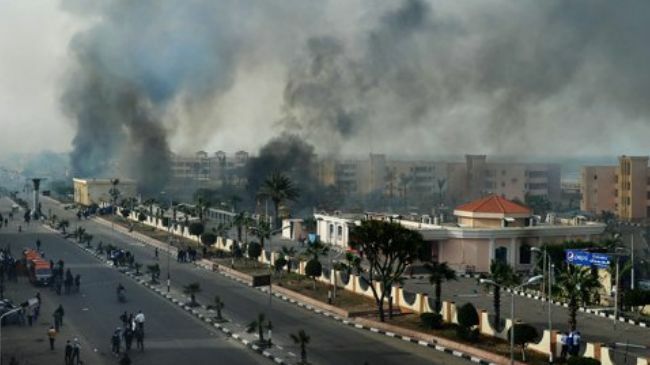 A similar bout of fighting broke out in November last year close to Mr Morsi’s Presidential Palace. Back then thousands of protesters engaged in an all night battle after members of the Brotherhood had forcibly evicted a sit-in taking place near the palace. 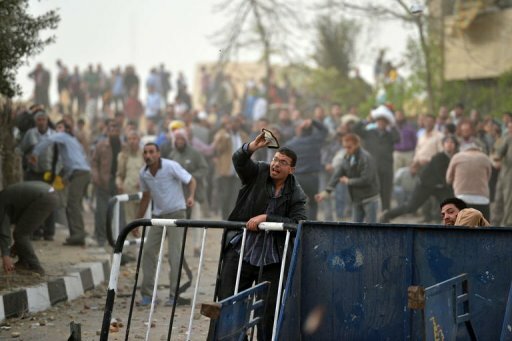 The clashes in Moqattam took a similar turn, and offers a depressing glimpse of what could potentially unfold if Egyptians fall back on violence in order to fill the current political void. 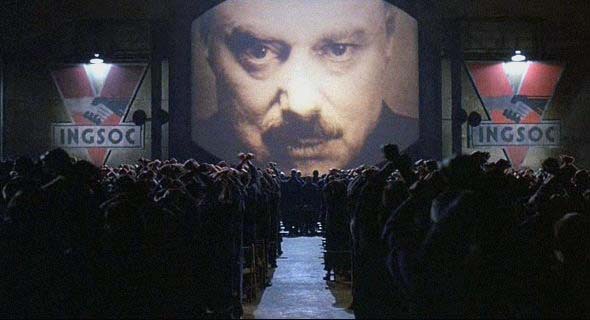 Will the economic crisis result in a renewed period of authoritarianism? A sobering article from the Egypt Independent on the current economic mess. Amr Adly argues that Egypt is in for a stormy ride, but says that the opposition National Salvation Front are in no position to benefit. In a bleak closing passage, Adly raises the prospect of further unrest leading to the creation of a “proto-fascist” regime in order to counteract the violence. Worrying stuff. Here is a video taken by B’Tselem, the Israeli NGO which works to expose human rights abuses in occupied Palestine. It shows Palestinian youths taunting and attacking IDF soldiers with stones in the West Bank. Eventually the cameraman pans away to the left, where an Israeli soldier on a hill can be seen taking a pot shot at the youngsters. The footage then shows a teenager being hauled away by his friends, while the IDF gunmen is quickly pushed away from the scene by his colleague. Another thoughtful piece from The Economist on Egypt’s constitutional woes. The magazine notes the low turnout in the first round of last week’s referendum, and cautions the Muslim Brotherhood against reacting to their apparently waning support by seeking an ever tighter grip on power. It has been a criticism routinely leveled at Egypt’s liberal, secular and leftist opposition since the toppling of Mubarak – that they are out of touch with the concerns of ‘ordinary voters’. With fresh parliamentary elections rapidly approaching, the Economist argues that now is the time to start undermining that unhelpful perception. Somewhat belatedly, here is a lucid, even-handed account of the crisis surrounding Egypt’s constitution – from the seemingly omnipresent Nathan Brown. He questions whether Egypt’s fragile institutions are ready for the majoritarian democratic principles of the Muslim Brotherhood, though suggests that many among the liberal opposition have not always acted in good faith during their dealings with Egypt’s Islamists. A detailed analysis of the problems which have been thrown up over the past few weeks.